If you are looking for an inexpensive way to dress up your bathroom, consider decorating the edge of your bathroom mirror. Most bathroom mirrors are frameless and simple. This edge condition offers the perfect opportunity to get creative and complete an easy weekend project. A clean, wood frame accentuates the edge of the bathroom mirror. If you are looking for an inexpensive way to dress up your bathroom, consider decorating the edge of your bathroom mirror. Most bathroom mirrors are frameless and simple. This edge condition offers the perfect opportunity to get creative and complete an easy weekend project. While elaborate picture frames are attractive around mirrors, this isn't the only way to decorate them. Consider the overall decor of your bathroom and think outside of the box. Measure the dimensions of your bathroom mirror. Record the height and width, and also note whether there is a bevel at the edge. Evaluate your bathroom's decor. An elaborate, traditional frame would seem out of place in an otherwise modern scheme. Also note the metallic finishes of your bath hardware, such as the faucets for the sink and bathtub. If the metal is brass, consider surrounding the mirror with a similar colored frame. Your mirror edging is also an opportunity to pick up on a theme in your decor. 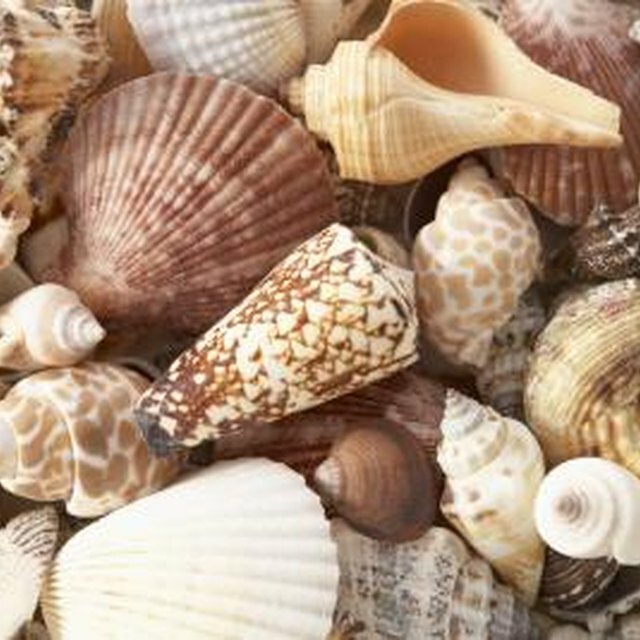 If your theme is the beach, consider gluing on seashells that you saved from your beach vacation. Purchase framing materials. If you literally want to add a frame to decorate the edge of your mirror, purchase a kit such as those by Mirr-Edge. These inexpensive kits are easy to install by yourself. Other options include ceramic or mosaic tiles, wallpaper borders or even decorative ribbon. Also purchase the appropriate adhesives depending on the type of frame and the surface against which are you attaching it. For stone or tile, use grout; otherwise try super glue. An inexpensive way to decorate the edge of a mirror is to etch the glass. Simply tape off the mirror, leaving an inch, or as much as you prefer, exposed at the edge. Use fine grit sandpaper to gently buff the exposed edge, then remove the tape. Another way to decorate your mirror is to add attractive lighting. Look for antique vanity fixtures such as the classic exposed bulb style and mount them around the edge of your mirror. Achieve a more modern look by installing a string of LED lights behind your mirror so it emits a soft glow from around the edges. Treat your mirror like a window and flank it with wooden shutters or install a fabric valance above. Use unconventional materials to make a frame for your mirror. Try rope, lace or leather. Always take care to avoid cutting yourself when working with mirrors and glass. An inexpensive way to decorate the edge of a mirror is to etch the glass. Simply tape off the mirror, leaving an inch, or as much as you prefer, exposed at the edge. Use fine grit sandpaper to gently buff the exposed edge, then remove the tape. Another way to decorate your mirror is to add attractive lighting. Look for antique vanity fixtures such as the classic exposed bulb style and mount them around the edge of your mirror. Achieve a more modern look by installing a string of LED lights behind your mirror so it emits a soft glow from around the edges. Treat your mirror like a window and flank it with wooden shutters or install a fabric valance above. Use unconventional materials to make a frame for your mirror. Try rope, lace or leather.